Thinking about how to surprise your wife on your anniversary? Want to impress an important out of town client who’s coming to visit? Throwing a party for all your friends and need to make it extra special? Do you have a special occasion to celebrate? Then, give us a call. 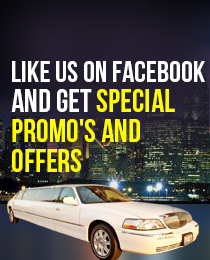 Our limousine and party bus service in Encino will make all your dreams come true. Choose from a wide range of Stretch limos, Sedans, Party Buses, Rolls Royce and Hummer limo rentals all available in Encino. We at ULC Limos give most emphasis on the condition of our fleet of limousine rentals in Encino. For most people, hiring a limousine means hiring luxury and that’s what we give you through our limousine and party bus service in Encino. We are not your average limo rental in Encino that don’t spare any thoughts towards finer details that make your limousine ride even more special. Be it our celebration limousine, concert limousine, or any other limousine service, you will always remember your ride in a ULC limo rental in Encino. Our chauffeurs are world class professionals with thorough training, certification and professionalism. All of our limos in Encino are connected through radio to our headquarters. You won’t have to worry about you or your family’s safety while traveling with our limousine or party bus service in Encino. Which Encino Limo is Right For You?